A diagnosis of IBD can take away the thing that you feel defines you as a person. This is how it felt for Megan Starshak of The Great Bowel Movement, who describes how her ulcerative colitis diagnosis at age 18 stole her passion for running. The process of losing and then regaining her identity as a runner fueled her desire to help people live well with a diagnosis of IBD. Her foundation seeks to educate those outside the IBD community through the use of a simple conversation prompt: Ask Me About My IBD. 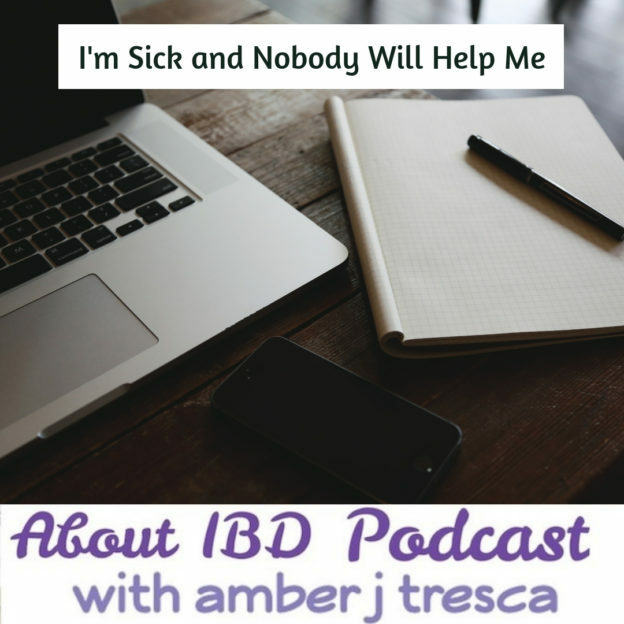 This entry was posted in Podcast and tagged advocacy, body image, community, embarrassment, sharing your story, ulcerative colitis on January 29, 2019 by Amber. The internet runs on advertising, which means that editors and writers are often tasked with getting the most possible eyeballs on their story. That can mean that there’s pressure to write a controversial or sensational headline to get those clicks. 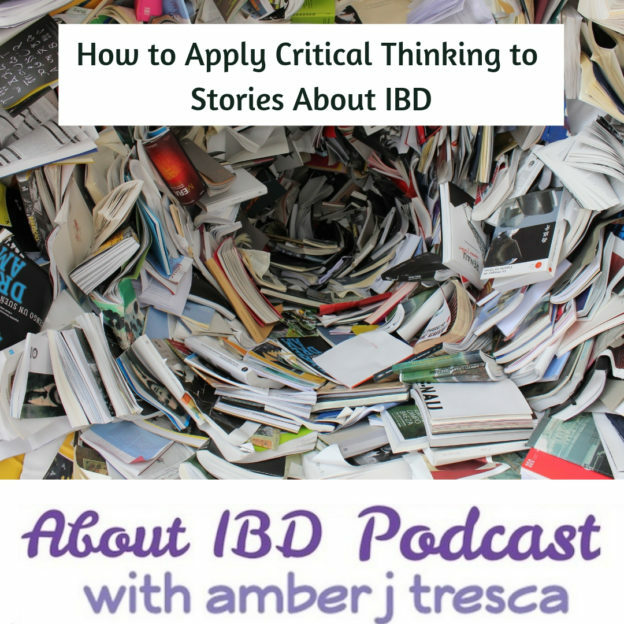 In this episode, I invite veteran medical writer and university instructor, Shereen Lehman, to weigh in and tell you how to figure out if a story about IBD is good reporting — or if it’s crap. This entry was posted in Podcast and tagged advocacy, clinical trials, podcast, social media on January 15, 2019 by Amber. This entry was posted in Guilt and tagged family, stress relief, support on November 27, 2018 by Amber. Why is it important to tell our stories? Every person who has IBD is unique and so is their disease journey. You might not think your experience is relevant to others living with IBD or another chronic condition, but it is, in many ways. A story can provide validation and hope while helping put the reality of life with IBD in perspective. 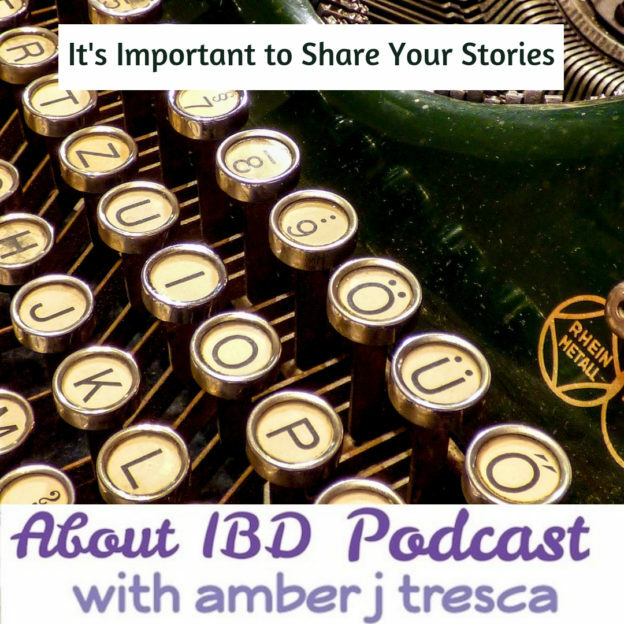 Brooke Abbott of The Crazy Creole Mommy Chronicles and IBD Moms and I continue our discussion of how we can support others with IBD through telling our stories and listening to yours. This entry was posted in Podcast and tagged advocacy, awareness, community, personal story, sharing your story on November 27, 2018 by Amber. What are your traditions around Thanksgiving? What we eat and how we celebrate Thanksgiving depends on where we live, our ethnicity, and our family traditions. What matters is coming together and remembering to be thankful. Brooke Abbott of The Crazy Creole Mommy Chronicles and IBD Moms tells me about some of her family’s Thanksgiving traditions and how she talks about being grateful with her son. We discuss some of the ways we try to support the IBD community and what we can do better, especially during the hectic and stressful holiday season. Plus, see the end of the show notes for some of Brooke’s recipes! This entry was posted in Podcast and tagged advocacy, community, family, motherhood, parenting, volunteer on November 20, 2018 by Amber. Inflammatory bowel disease (IBD) tends to run in families but it’s not as simple as being passed down from parent to child. It’s more complicated because of the number of genes that are involved and the fact that it’s the genes plus some “trigger” that starts the disease process. In fact, many people with IBD don’t have a family history of the disease. 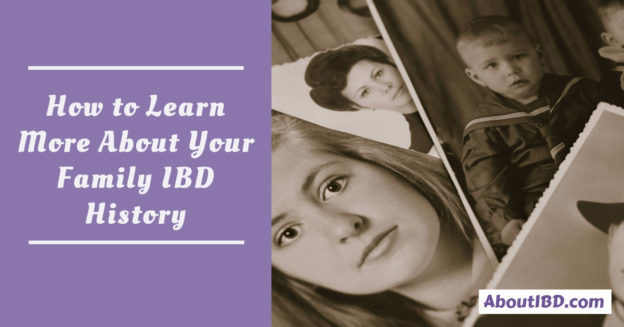 Even so, it’s worth digging into family history in order to learn if there’s more IBD or immune-mediated conditions in the family. This entry was posted in Family and tagged community, Crohn's disease, family, ulcerative colitis on November 19, 2018 by Amber. 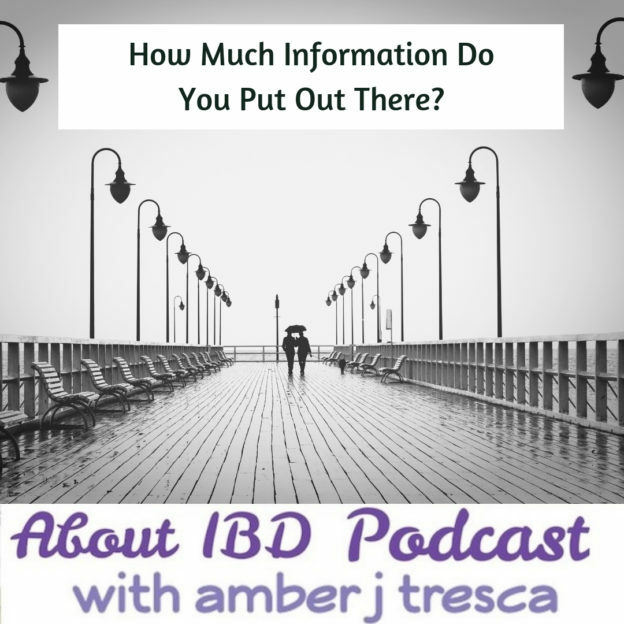 About IBD Podcast 31 – How Much Information Do You Put Out There? 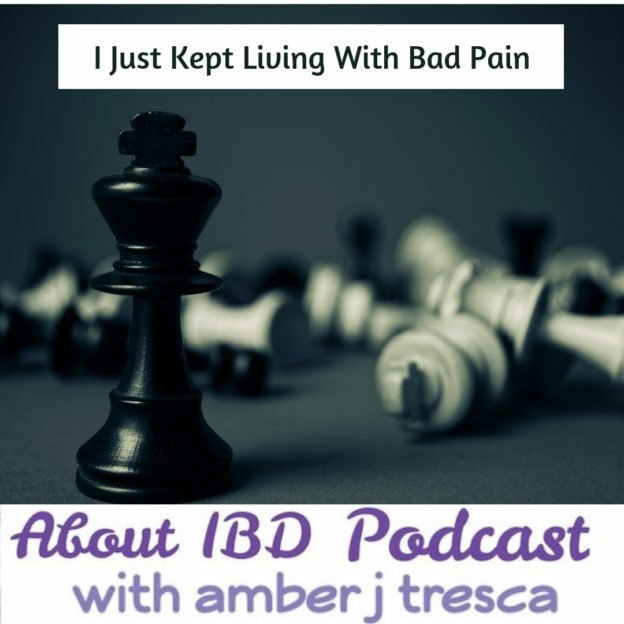 This entry was posted in Podcast and tagged body image, Crohn's disease, dating, embarrassment on November 13, 2018 by Amber. Even when you’re knowledgeable about IBD, it can still sneak up on you and skew your perception of how much control the disease has over your life. 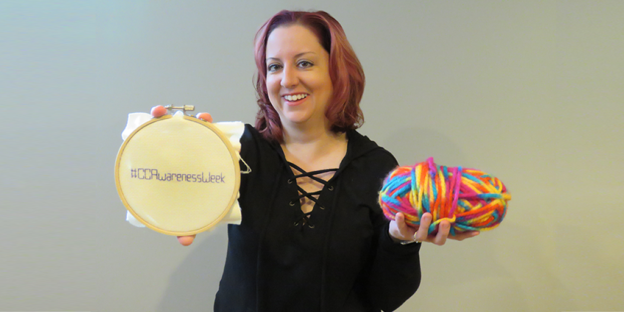 Angelica Catalano, Director of Media Partnerships at The Mighty, describes how ulcerative colitis has affected her since her diagnosis at the age of 6, and how she was living with symptoms on a daily basis. Emergency surgery shook her world, prompting her to make a change in her treatment program to prevent future IBD-related complications. Through her work at The Mighty, Angelica pursues her passion of helping people with chronic illness improve their quality of life by bringing them together with the nonprofits that provide support and resources. 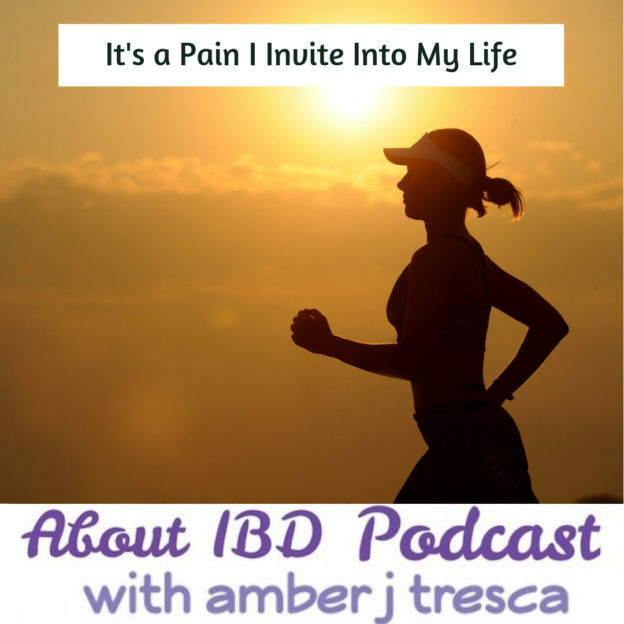 This entry was posted in Podcast and tagged awareness, body image, podcast, support, ulcerative colitis on November 6, 2018 by Amber. What have you done when you couldn’t get anyone to take the symptoms of IBD seriously and you found yourself out of options? For Meredith, the road to a Crohn’s disease diagnosis was long and so frustrating that she wound up pleading for help from a specialist she’d never met. Going online to connect with other patients also took Meredith to places both light and dark, and she, Jaime, and I sort through our various experiences with social media as well as how we can work towards creating more hopeful content for new IBD patients in the future. 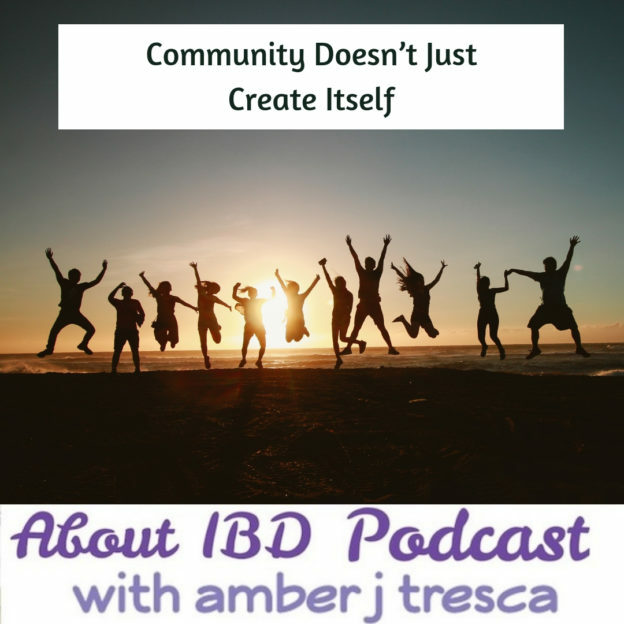 This entry was posted in Podcast and tagged advocacy, community, Crohn's disease, podcast, sharing your story, social media on October 30, 2018 by Amber.